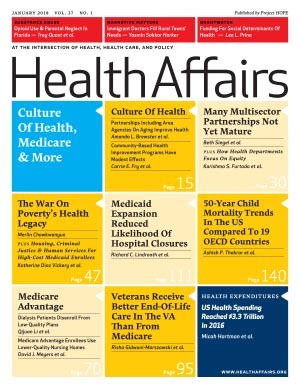 Health Affairs has published the results of our months-long research endeavor to further understand and define the national landscape of multisector partnerships for health. The article, “Multisector Partnerships Need Further Development to Fulfill Aspirations for Transforming Health and Well-Being,” was authored by the ReThink Health Ventures team and appears in the journal’s January 2018 special issue on the Culture of Health. The Ventures team found that even the partnerships with a reputation for being in mature stages of development were not as well poised to lead health transformation as their reputations implied.